Did you know that early, age-appropriate music experiences can enrich a child’s language, literacy, social development, cognition, attention span, mathematical, motor and self-regulation skills? All of this has been proven by research. Therefore it’s a source of frustration for me as a music lover and educator of young children with special needs when I continually hear of budget cuts being made to music and art programs in schools. A recent study completed in Finland in November 2013 suggests that babies exposed to the same song consistently in utero can later recognize that song as newborns. Researchers have said that babies can be relaxed and comforted by music heard while they are still in the womb and that the period between the 27th week of pregnancy and six months after a baby is born is critical to the development of the auditory system. Music education and exposure does not mean you need to send your baby to Suzuki violin lessons or provide formal or costly music education for your infant or toddler. Fortunately most infants and toddlers are born musical and many parents naturally sing lullabies to their babies as soon as they come into the world. What are some easy ways to foster music exposure at home? Let babies bang on pots and pans with wooden spoons while you cook dinner. Turn on the radio, iPod, cd player (make sure your selection is age appropriate) at home and during car rides. 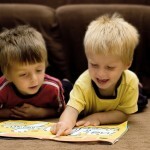 Alternate your bedtime stories with bedtime songs. Teach songs with gestures and finger plays with actions such as “Itsy Bitsy Spider”, “Twinkle, Twinkle Little Star”, or “Wheels on the Bus”. 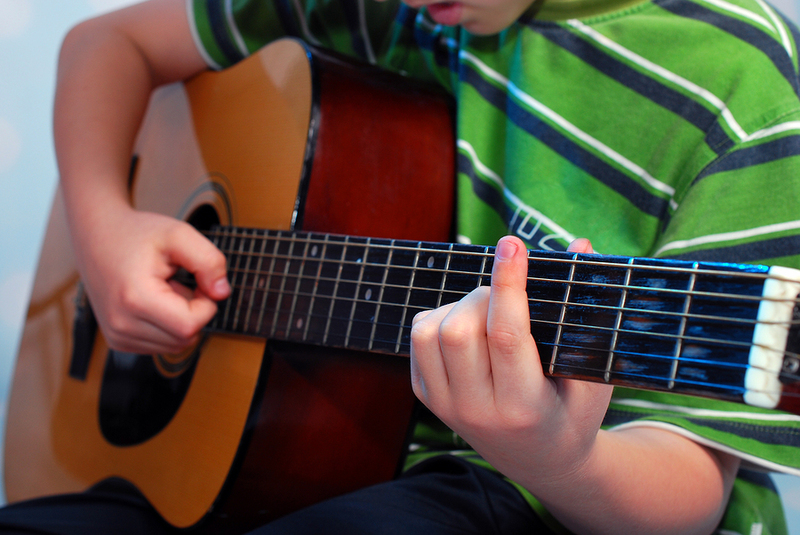 The best time to learn a musical instrument (or foreign language for that matter) is before age 12, as research shows that the window closes after this time. Sure we can learn as adults, but it’s MUCH harder. Music helps the brain develop the areas that are used in language and reasoning. A young child’s brain is “plastic” and continues to develop rapidly after birth and exposure to music is beneficial to the left brain where language processing takes place. Music fosters creativity, self-expression and self-esteem. 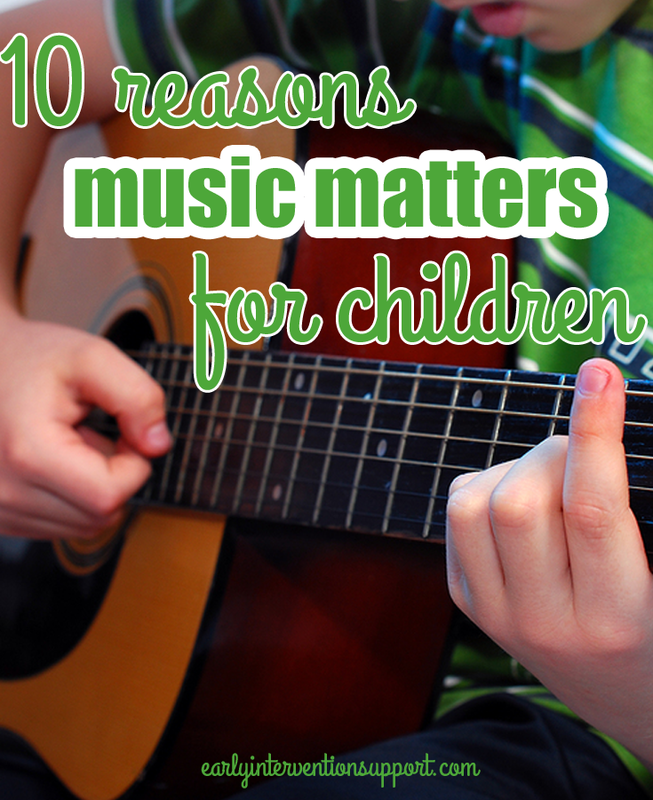 Music promotes parent-child bonding through rocking, swaying, singing, dancing. Music fosters complex listening skills. 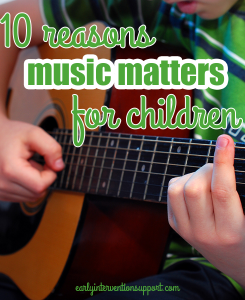 The musical interest and learning you foster in your young child will last a lifetime. “The musician is constantly adjusting decisions on tempo, tone, style, rhythm, phrasing, and feeling–training the brain to become incredibly good at organizing and conducting numerous activities at once. Dedicated practice of this orchestration can have a great payoff for lifelong attention skills, intelligence, and an ability for self-knowledge and expression.” — Ratey John J., MD. A User’s Guide to the Brain. New York: Pantheon Books, 2001.